and celebrates ATC's 20th year in business. 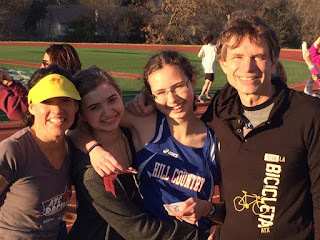 I've been writing and collecting posts for the Austin Tri-Cyclist blog since December 2010, and it's been a very rewarding experience. A writer is always lucky to find a project like this—one that's flexible and fun, eclectic in scope, and centered on something she's truly interested in and loves. ATC is a fantastic bike shop, and it's been very nice to be part of the extended family. This year I'm handing "my baby" back over to ATC staff as I start other projects and adventures, not least of which is having a second child this spring. If you'd like to follow me and my work in the future, please check out my writing website and Facebook business page. Eventually you'll find me back on my bike and out on the roads again, too. In closing, here's our traditional top-posts-of-the-year list for 2015, along with the most-viewed 10 articles of all time (i.e, since 2010). You'll have plenty of cold-weather reading if there's anything you missed. Austin Cyclists Hit by Drunk Driver - Marla Briley and Kent Snead had the experience many cyclists fear the most: one early Sunday morning in July, they were hit from behind at top speed by a drunk motorist. This post tells the story Austin news outlets didn't bother to. One & Done? - "You’re good at a sport? Great. You have the time and the money to do it? Fantastic. Now ask yourself whether you love it, and figure out how to keep loving it. Unless you’re making a very healthy salary being an athlete or winning gold medals, those are the only two things that matter. 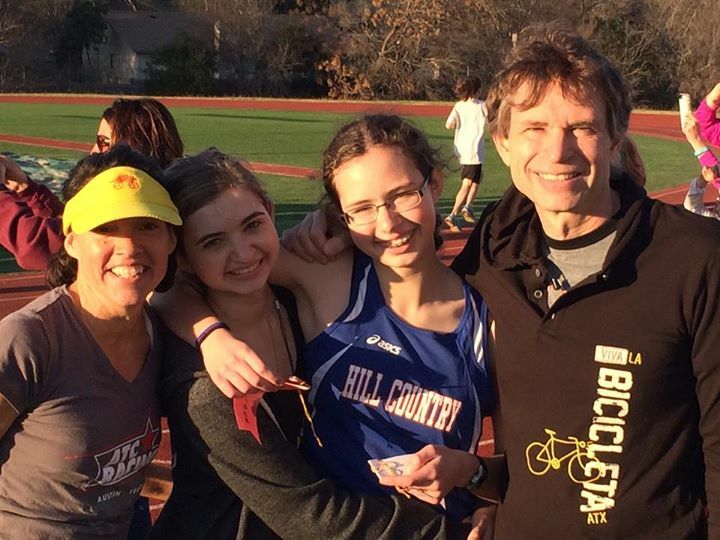 In some ways the one-and-doner gets more at the heart of amateur athletic competition than the veteran athlete does—participation may be short-lived, but it's always fun." A Ride for Any Day of the Week - Often bookmarked, our yearly "A Ride for Any Day of the Week" posts are always popular with cyclists. Check out our May 2015 list, but keep in mind the rides are no longer up to date. Why Women Should Race with the Men - Why are women racing with the men? And why should they be able to? This post answers those questions as they pertain to the Austin cycling scene and beyond. Living With Latex - Latex tubes aren't for the faint of heart, but they have a lot of advantages. Jack Mott tells all about them and why it's really—no REALLY—important to install latex tubes correctly. So You Want to Be a Pro? - This March 2015 post covers (at some length) my introduction to the world of pro cycling last season: why I did it, how I got there, and what I found. My race report on the Cascade Cycling Classic describes the season's, and my cycling career's, bittersweet denouement. Donate Blood Marrow for Amy Cottrill Marsh - This was just an event post from January about the bone marrow donor drive held for pro triathlete Amy Marsh, so you should read the Team Marsh blog instead. Since Amy was diagnosed with Acute Myeloid Leukemia in December 2014, her husband Brandon Marsh has been blogging about the ups and downs of her treatment and recovery in a way that's both brutally honest and inspirational. If anything puts the year in perspective for you, this will. Race Report, 2015 San Dimas - Another long Kat Hunter race report, but this quote sums it all up: "The San Dimas Stage Race was a vindication for our team. We’d been denied an invitation to one of the big national races this year. The victory was a statement, loud and clear: we have everything it takes to win." and Pregnancy as an Athlete have received many page views compared to our other posts throughout the year. Many thanks for reading and sharing on social media! After last year’s 37 degree and raining effort with only 38 riders – I swore that I would not fight the Excruciation Exam (E2) under the same conditions. So I watched the weather carefully, registered when it looked to be clear but by week’s end the rain and temps were back in the same spot as last year – oh well. What’s a New Year start and my 48th birthday without some suffering. E2 is typically between 80 and 90 miles (depending on conditions at Warda’s Bluff Creek Ranch and Rocky Hill and the final single track layout). The race starts with an 8 mile loop at Warda, jeep trails and fire roads to Rocky Hill, a 12-14 mile loop at RH, back to Warda with a shorter loop in Warda to finish. My goals were to finish (last year I DNF’d at mile 63 with a mechanical) and to finish sub 6 hours (I have had a 6:05 once). No illusions about a top result – in the past the Open field has featured US pros such as Chad Haga and pro riders from Mexico - never mind some of Pattie’s top 40+ compatriots sandbagging in the age group. Nevertheless – this year’s goals were marked by a solid time and just finishing the race (the attrition and time cut-off is usually a solid 50%). The race usually begins with a Le Mans start (i.e. running) but like last year the conditions were not conducive to a bunch of mountain bikers struggling through a quarter mile slog so it started as a mass start with the Open field up front. The benefit of the Le Mans format is that it strings the group out and does not bunch things up on the single track. It also allows groups to settle in coming out of Bluff Creek Ranch for pack riding on the roads. In the past I have started fast through Warda and then ridden really strong in the group to RH only to crater while in the trails at RH – struggling back to Warda. The trail conditions at Bluff Creek were nasty – slick, a lot of roots, off camber areas and just plain messy. While not overly technical (particularly the front part of the course) it created situations where you had folks taking chances, passing on banked turns and a lot of early crashes. While the field is limited to 150 – when the group is bunched up it can be touchy with the technical guys trying to get a leg up before everyone hits the road sections. Having sprained a wrist last week – I was not nearly as aggressive in Warda as I have been in year’s past. Hitting the road – it began to rain and the RBM guy next to me indicated that the temperature had fallen to 38 degrees (the temp at the finish was 41 with a light rain the entire day). As we crossed 77 heading to Rocky Hill the wind began to pick up and the groups on the road splintered. It is a weird mix of MTB riders and road racers trying to find their place and as was the case on Saturday – I saw a number of road guys trying to blow things up on the jeep trails only to crater at Rocky Hill (one guy from a Houston based team was yelling that the group needed to work harder and I took great pleasure in passing him at RH with about two miles left on the trails). I rode in a smaller group and then went off solo for about 30 minutes heading to RH. With all of the rain we have had this year – the gravel roads were worn down and made for solid riding. In order to stay on my time goal – I had to hit RH by 10:00 am and was within one minute as I made the turn. The first three miles of RH were similar to the TMBRA race layout with a lot of climbing – brutal having spent almost 2. 5 hours in the saddle by that time but the 1X gear selection made it much easier. I have usually struggled at RH but felt good and ceded no ground to anyone and stayed on tempo the entire ride. The rocks were slippery and there was a lot of water on the course with a few dicey spots – which is not typical of RH. I stayed within 50 yards of the No. 2 overall girl and we passed 4 or 5 riders the last couple of miles and she and I hit the road together. Honestly – despite the nasty and wet conditions I really liked the overall layout at RH and with a few new trails cut in – it allowed for better flow and less overall fatigue (mental and physical) coming out at the turn-around. As you leave RH heading back to Warda on the road – you hit an immediate hill which feels like something in West Austin. It can be demoralizing and can blow people up. We left RH with 5 individuals and before we finished the hill it was completely strung out. That is the way it stayed throughout the balance of the race. As is typical – the group mentality heading to RH gives way to survival and competition on the way back. In year’s past – you have had to stop at the check points to receive a tag to ensure that you completed your runs – this was not the case this year as they had spotters marking race numbers and I was able to ride through all but one point (where I ate and changed gloves). Within 10 miles of Warda – I realized I had a shot at my time goal but had to stay on the upper end of my limit. There was a 30-39 rider who was ahead of me coming out of the last check point and was able to use him to maintain the pace and eventually reel him in. I knew that times would be fast given the RH course and really wanted to hit the time goal regardless of my result. With 5 miles out, I drank an 8 oz Coke, took a gel and hit it has hard as could. I reeled in the rider in front as we turned down the last jeep road to the Ranch in Warda and rode him off my wheel for the last short pull on the outer short track in Warda. My time was 5:50 – 5 minutes off of my 5:45 set goal. I felt surprisingly fine afterwards with no stiffness or soreness beyond the normal fatigue. Chad had given me few calorie pointers for the effort and that coupled with the full suspension 29’er were a big help. And while I was not able to ride with the fastest groups to RH in the first part of the race as I have done in the past – I also did not burn unnecessary matches and was able to move more smoothly through RH and finish the back half much stronger. Fun day – real tough and it can be a real sufferfest. There is a huge time gap between the first big groups and the last group. For some reference point – the time cut off leaving RH is 1:00 pm. I finished at 1:20 – so there are some folks on the road for a long time. The goal next year will be to focus on results and leaving Warda with the strongest groups and hopefully put together an overall result for the Team.